Hip strengthening workouts for body-builders have a dual advantage – they help in strengthening the hip muscles and also help in reducing the risk of injuries. Hip strengthening workouts focus on several muscles at the same time which builds power and endurance level. These exercises are suitable for body builders who are trying to reduce injuries, build stamina, increase endurance and looking forward to building knee strength. A combination of hip strengthening exercises are essential for overall fitness of body builders. Start by standing on a foot. You will drop the right side of the pelvis some inches downward. You will do this as your left side is in a neutral position. You need to activate the left hip muscles and slowly lift the right side back to the position where you started. You need to do this 15 times for each side. This is an excellent workout for overall hip strengthening and flexibility. Start by lying down on the floor. You will keep a ball or a rolled towel in between the knees. Now, you will slowly squeeze this ball right between your knees. In this process, you will be tightening the inner thigh muscles or your abductors muscles. Stay in this position for 4-5 seconds. You need to do this workout at least 10 times or more if you are able to. 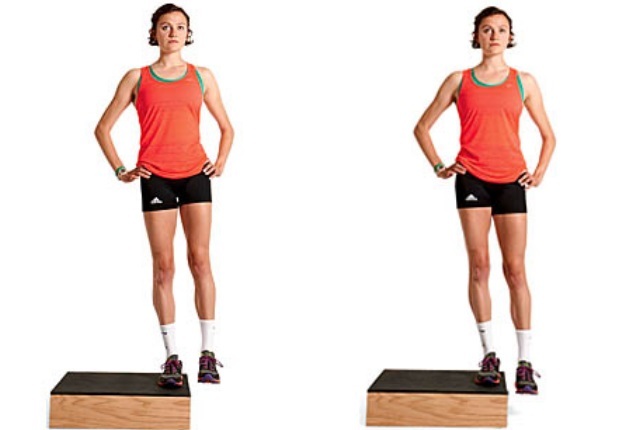 This exercise will strengthen the hip muscles and build stamina and endurance. This exercise strengthens hips, builds flexibility and reduces the chances of injuries due to weight lifting or other weight training workouts. You need to wrap an exercise band around the legs. This shall be wrapped just above the knees for best results. You need to bend the knees and get into a squatting position as you start the workout. 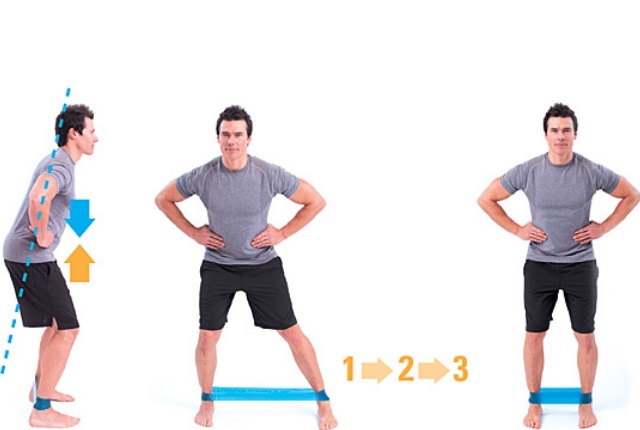 Now, walk sideways as you use the band for additional resistance. You need to repeat the process in both directions. This workout is quite effective and powerful for those who are trying to build their hip power and strength. Start by getting on your all fours. For this workout, you will left and extend your legs as you keep your hands on the floor. Your knees shall be a bit bent. You will kick upwards with the bottom of the shoe facing towards the sky. This might be difficult to do as you start, but with regular practice, you will be able to do it well. You need to do this workout at least 20 times, each side. Start on your all fours on the floor. You need to focus on your balance. 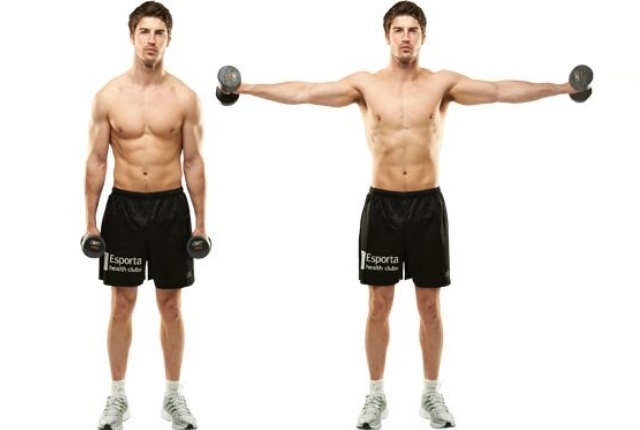 You will then slowly lift the right arm and extend it straight and out. Your arm shall be just in front of the body. At the same time, you will be lifting the left leg and extending it just behind the body. You need to bring the extended arm and bend your knees back to the center just under the body. You can then extend your arms and knees out again. You need to repeat this exercise at least 20 times. If you include this workout in your everyday routine, you will be able to strengthen your hip muscles effectively. This is a simple but effective exercise which helps in strengthening your hip muscles and gives them power. Lie down on your side. Your legs will be stacked on top of another. You can then lift the top leg and make a 45 degree angle. You can again lower it down. Repeat the exercise at least 20 times for each leg.